Dutch experts have suggested building artificial islands in the central province of Quang Nam to help deal with on-going severe erosion at Cua Dai Beach. 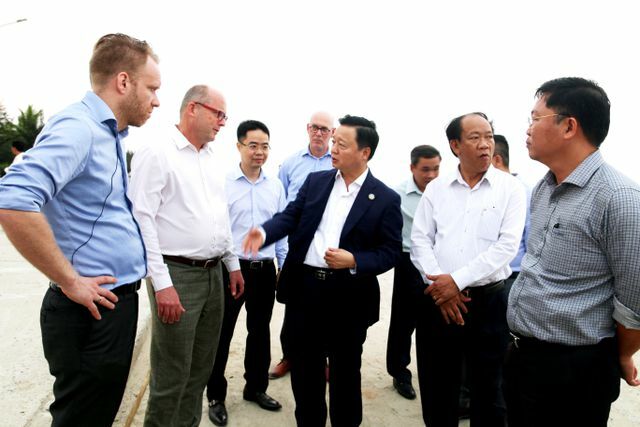 A delegation of Dutch experts led by Dutch Minister of Infrastructure and Water Management Cornelia Van Nieuwen Huizen on April 10 surveyed Cua Dai Beach in Hoi An City which has been seriously hit by erosion for years. 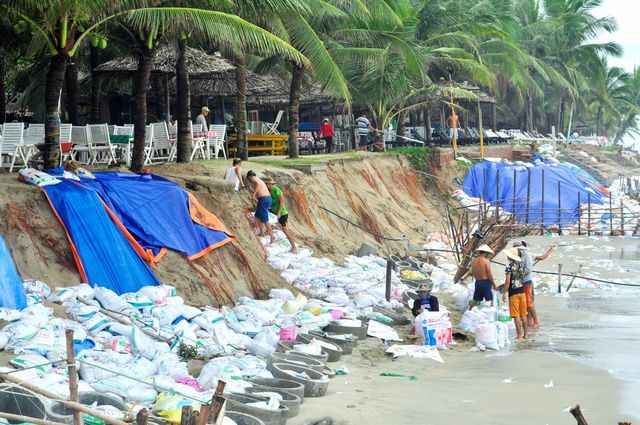 According to Le Tri Thanh, vice chairman of Quang Nam Province People’s Committee, Cua Dai Beach has been eroded since 2004, affecting around three kilometres. This has damaged some resorts by the beach. Quang Nam has been making efforts to cope up with the problem. Concrete dykes have been built to help consolidate the beach, but the erosion has continued. Cornelia Van Nieuwenhuizen proposed the construction of artificial islands for Cua Dai Beach, which has been done effectively in her country. These islands can be turned into attractive eco-tourist sites and the Netherlands will be willing to assist Quang Nam in the work. Dingeman Van Woerden from Royal IHC also supported the artificial island construction to protect Cua Dai Beach. He, however, highlighted that this would require huge investment. Woerden recommended taking sand from the newly-emerged bar near Cua Dai Beach to fill in the eroded sections of the beach. Minister of Natural Resources and Environment thanked for the Dutch side for suggestions to save Cua Dai Beach. He also highly appreciated Dutch expertise in dealing with coastal erosion. According to the minister, more seminars on coastal erosion in Hoi An would be organised to select the most suitable solutions and the opinions of Dutch experts would be included in the events to be discussed.